With school in full swing and national Bullying Prevention Month just around the corner, it's important for us as educators and parents to help children to embrace and accept differences, no matter how big or small. 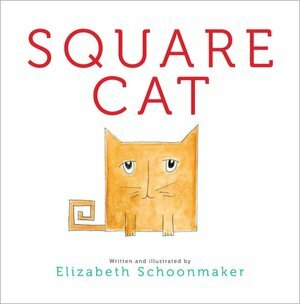 Elizabeth Schoonmaker's picture book, Square Cat is about a very special cat named Eula. Eula is a square cat living in a round world and life is not easy. Her round cat friends try hard to cheer Eula up by helping to make her feel round. No matter what they do, Eula just does not fit in...until one day. Instead of trying to fit in to a round life, Eula's friends help her to realize the benefits of being a square cat. Share this book with your children to help them realize that differences can be a good thing! Embrace your uniqueness and others will begin to as well. What a great demonstration of friendship and acceptance! Who's it for? This is a great read aloud for the lower grades. The reading level is 2.7. 1. Discuss the benefits of being a round cat or a square cat. Then have students decide whether they'd like to be a round cat or square cat. Have them create round or square cats depending on their choice and display! Disclosure: I received this book from the author/publisher for free. All opinions and thoughts are my own. It is hip to be square! 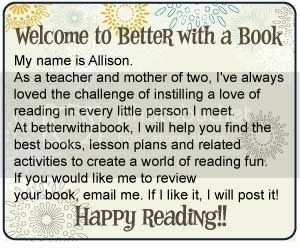 Thank you Better with a Book! You're welcome! My girls love to read the book and yell OOOOOOO!